Paper Rainbows. The GF Smith Show Space. One more reason to take a trip to London in 2017. World renowned paper manufacturer GF Smith has opened “Show Space” in London, which along with being a store front, features a gallery that is filled with an installation of colorful paper rolls. Housed across two floors in a building just off Oxford Street, the multipurpose GF Smith Paper Show Space will provide a place to meet consultants, act as an event and exhibition venue, and offer an immersive insight into the company’s products and history. The concept and creative direction for the 13,000 square foot space was developed by creative partner Made Thought, and designed in collaboration with architects d-raw. The concept is to showcase paper and keep it center stage, with a dark gray palette matched to one of the most popular Colorplan shades, and designed to provide the perfect backdrop for the visual and textural subtleties of GF Smith paper. At the heart of the GF Smith Paper Show Space, a 45-foot wall that presents every paper GF Smith has created or discovered, spanning every shade in the Colorplan range including some of the most precious, and technologically advanced unique papers from around the world. Kaplan Recommends “8 Great Things to do in London”. 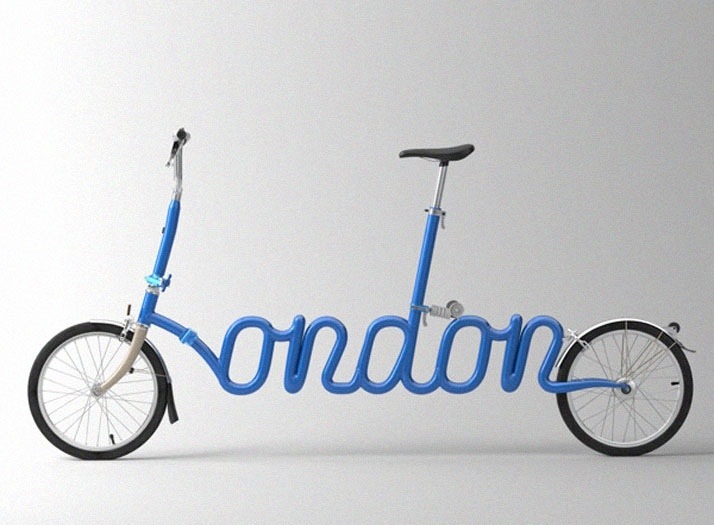 The video below is the animated teaser for Kaplan International English integrated campaign I Love London. 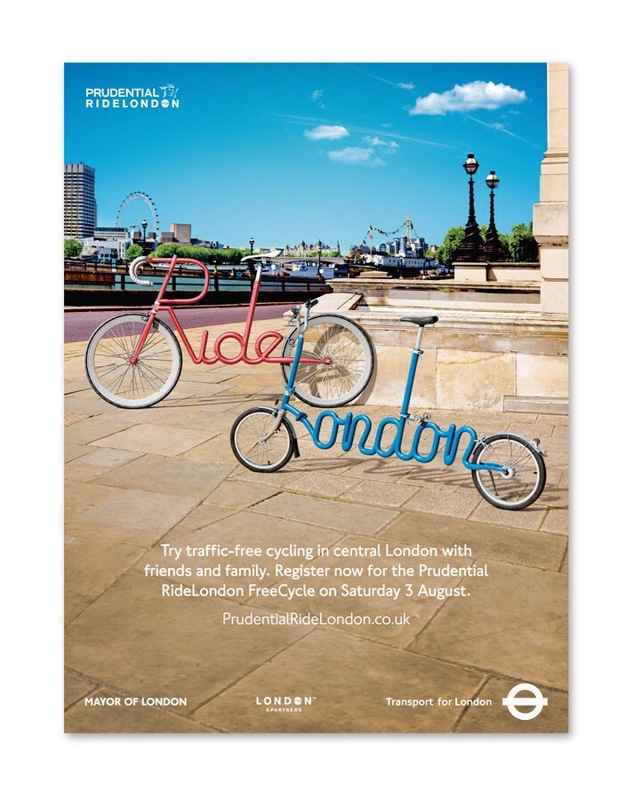 Created by Al Boardman and following on the heels of the awesome animated New York city guide, Kaplan asked more than 500 of their students what they thought the perfect day in London would be. Taking all the information they received they distilled it down to the 8 top choices for the city which Boardman then animated. The animation directs the viewer to the I Love London page where others are encouraged to post and share their dream day London, as well as see a brief synopsis about each of Kaplan’s top 8 picks. 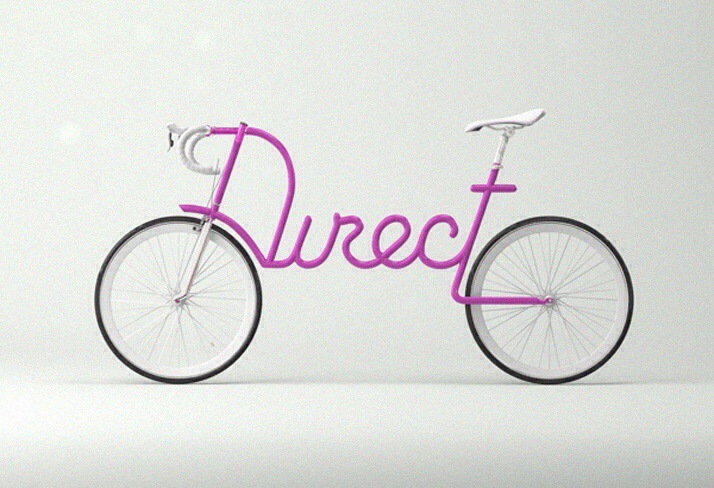 Hat tip to Boardman for creating such a fun, fresh, and cheerful animated piece. Posted in Animation, Design and Art and tagged Al Boardman, Animation, Design, England, English Classes, Illustration, Kaplan, Kaplan International English, London on October 30, 2014 by Author. The Endless Romance of the Pembrokeshire Coast. I think I need to go on vacation. 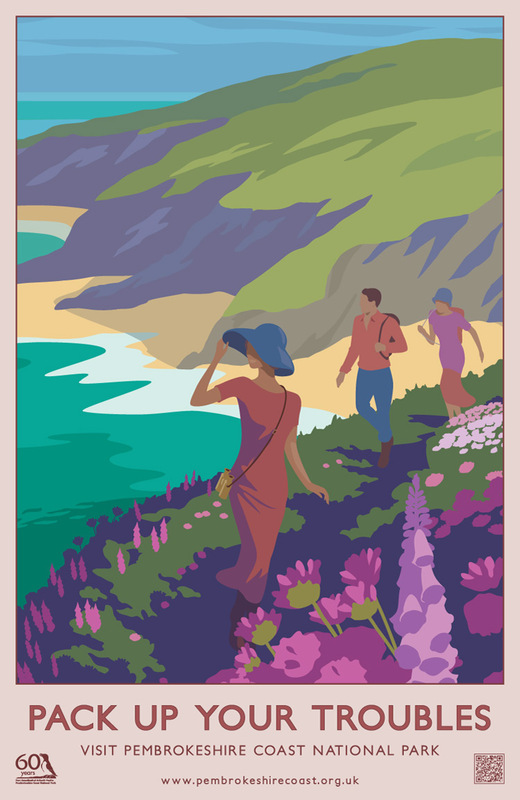 I have been on a vintage travel poster kick lately, and I think that I am secretly wanting to go on an extended summer vacation. 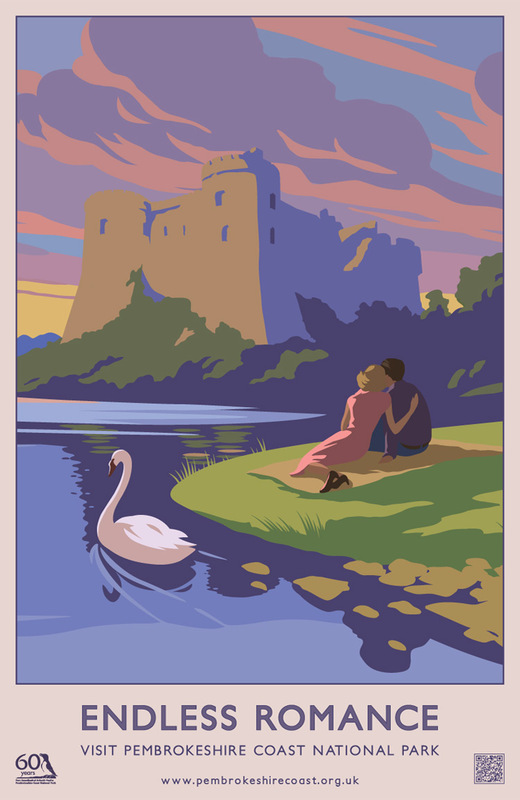 While cruising through online pages of research I came across another series of travel posters that harken back to the classic posters of the 1930’s and 40’s. Produced by London based design agency Hatched for Pembrokeshire coast national park, the campaign was a finalist for two CIM Awards and with good reason. Working with a color pallet that subtly changes across the poster range, the campaign was designed to promote tourism in the autumn months. 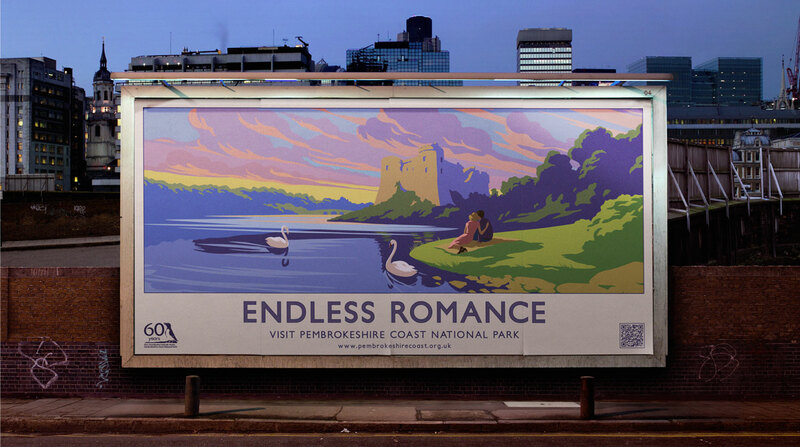 Working with a classic illustrative style, imagery that promotes the pastoral countryside, and tag lines that play off of the romance of travel the posters were a huge success. 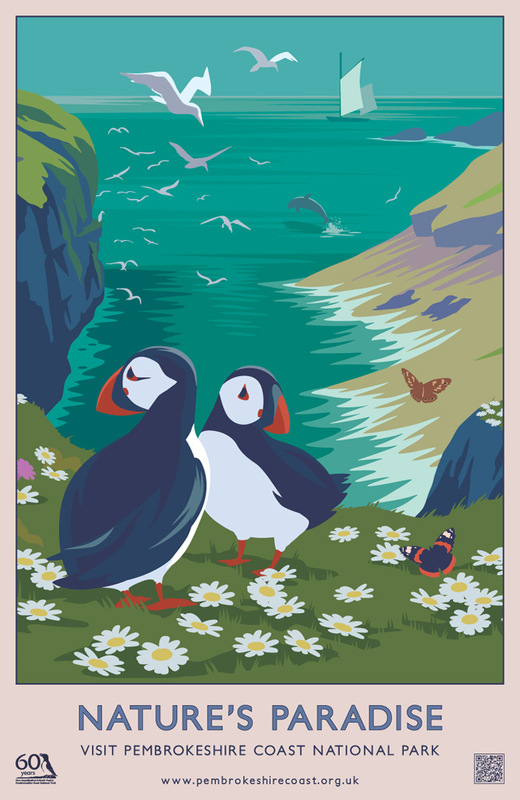 Posted in Advertising, Illustration and tagged Canmol Awards, CIM Awards, Design, Hatched, Illustration, London, PCNPA, Pembrokeshire Coast National Park, Tourism, travel, Travel Poster on June 6, 2014 by Author. 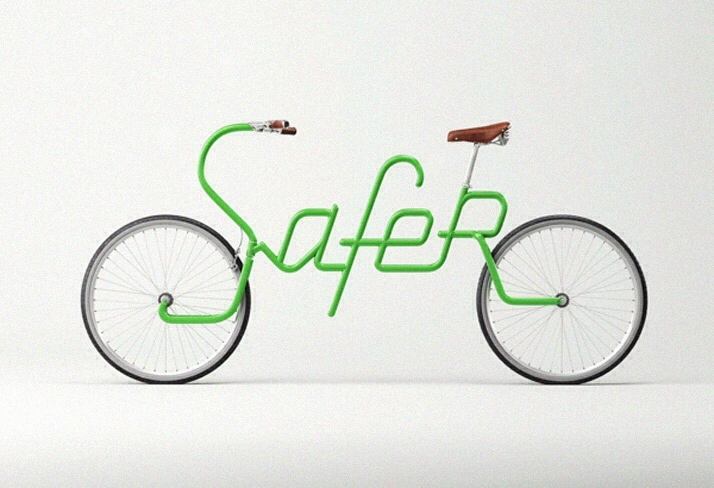 The Transport For London Campaign. 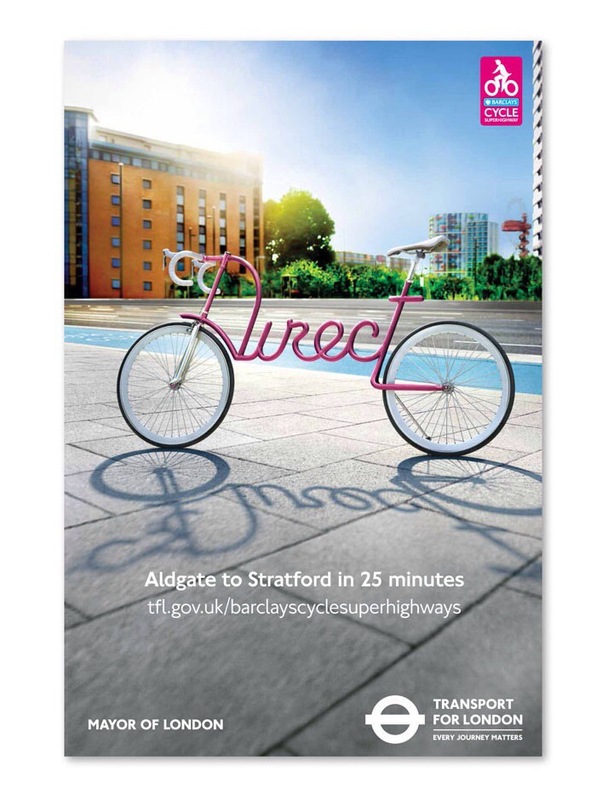 Transport For London has launched a new print campaign featuring the lettering design work of Alex Trochut. 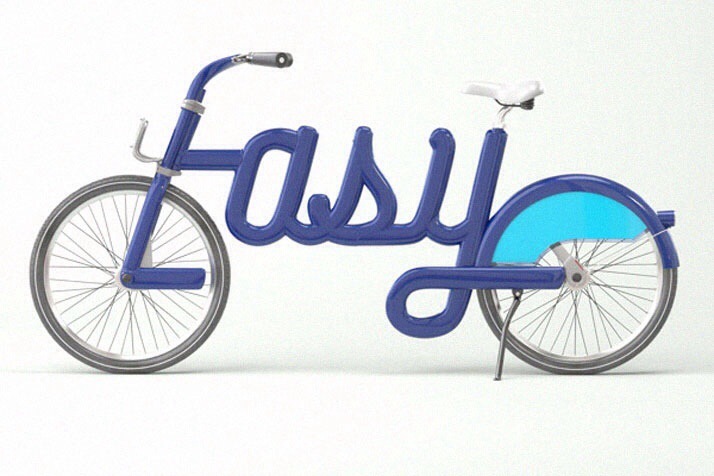 The ads feature bicycles that creatively merge the message with the bike itself using the frame to spell out words like “Easy’, “Ride”, “Safe”, “Direct”. 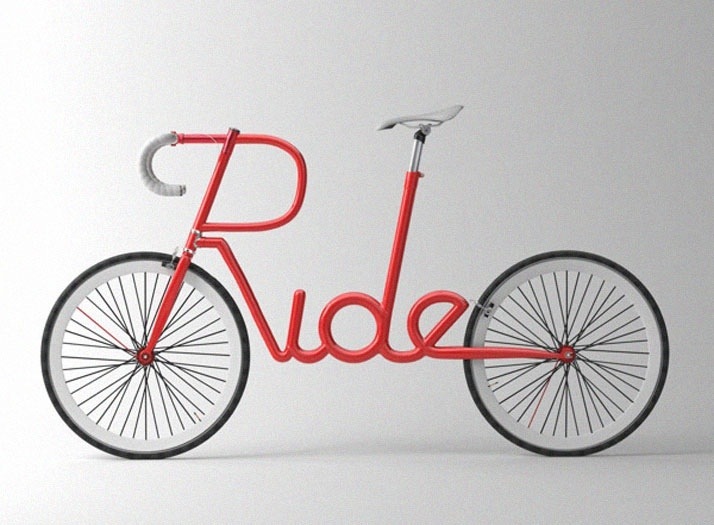 The eye catching ads are visually clever with eye popping color and a direct message. 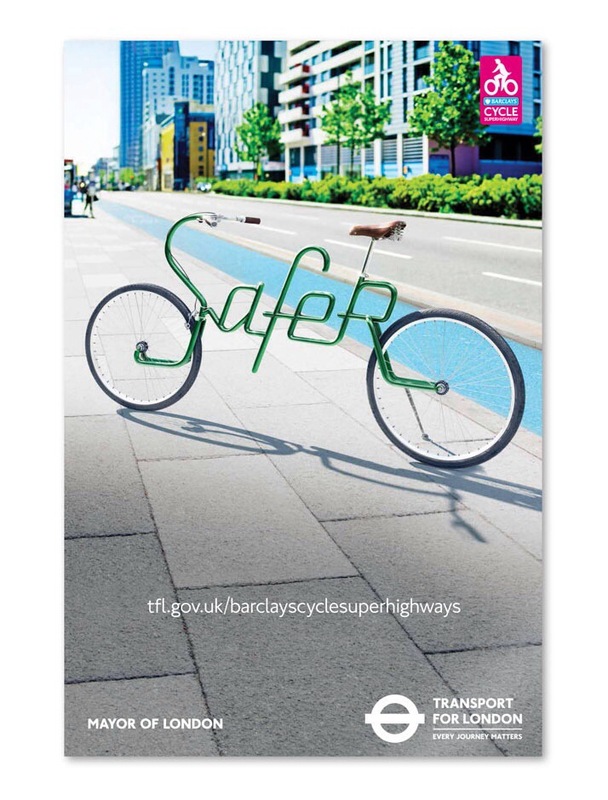 I hope that someone at TFL was smart enough to actually have these bike frames built, and is planning on using them as part of an ambient campaign extension for the printed pieces.